You are at:Home»The Garden»Sowing & Growing»Buying Seeds – F1? Hybrid? Heritage? Does it matter? Buying Seeds – F1? Hybrid? Heritage? Does it matter? Whilst perusing the seed catalogues of a dark winter’s evening you may have noticed that some of the packets are marked F1 or F2, but other than noting that ‘F1′ labelled seeds will cost you more, you’ve probably never given the labelling much thought at all. I wanted to give a bit of an explanation (without getting too much into the complexities of plant genetics) so that you can make a decision about what is best to purchase as, just with organic growing, there is something of an ethical decision to be made by all of us as guardians of nature. By ‘seed quality’ we mean the reliable genetic inherited traits of the seed purchased (and plants grown from them). I am deliberately not writing about genetically modified seed as I am not aware of that stuff even being available to allotmenteers and gardeners… yet. F1 hybrid seeds have been produced manually through the deliberate cross-pollination of two related parent plants that each display particular desired growth traits (after they themselves have been self-pollinated for a few generations – known as in-breeding). 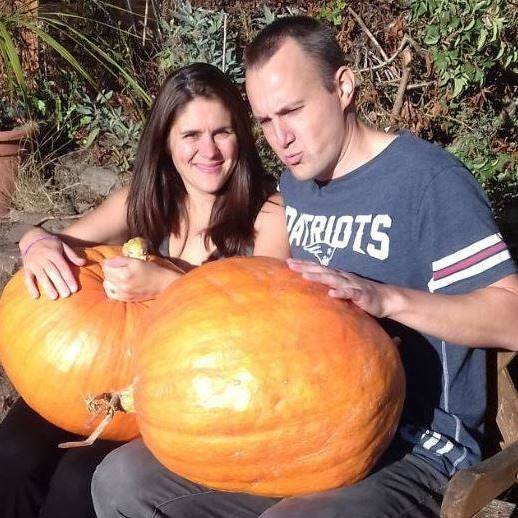 Let’s say you have an inbred plant producing very large but tasteless pumpkins, and a different inbred pumpkin plant of the same family producing fruit that tastes great but grows only medium-sized pumpkins. By manually cross-breeding two inbred parents after several generations, the resulting seed may produce plants in the next generation that offer fruit that is both very large and tastes great. In the first generation the crossed plants also grow very well – something called hybrid vigour. It’s something of a laborious trial and error process and has to be strictly controlled (think small paper bags on flower heads to keep out pollinating bees) but, once a great combination is discovered then the parent plants can be cross-pollinated each year by hand to create an abundant supply of the large and tasty producing ‘child’ F1 seeds. Sometimes two F1 child plants are also crossed at the next generation and these might produce interesting genetic traits as well, resulting in an ‘F2’ second generation seed (typically these are flower seeds where wide variation can be more easily tolerated / accommodated). As you can imagine this manual inbreeding and pollination process is time consuming (it takes years), hence there is an increased cost to seed production. The inbred parent plants also have to be maintained through self-pollination so that each year new cross-pollinated hybrid child seeds can be produced to create the F1 or F2 seeds for sale. Theoretically because of the limited and ‘forced’ gene pool of F1 and F2 seeds it is unwise to retain seed from them each year as the resulting fruit may resemble only a single parent or grandparent rather than the hybrid originally purchased in the catalogue. It would probably still grow more or less what you wanted… but there’s a chance it could be a freak mutation or weaker / prone to disease etc. The key benefit of sowing F1 and F2 hybrids is the reliability of growth traits. This is especially valuable to commercial growers who have to produce foods for the supermarkets that match the high standards of shape, colour and taste demanded by consumers brainwashed into thinking a wonky parsnip isn’t acceptable. Of course the reliance on hybrids does mean that the overall seed gene pool declines as more and more growers use the same hybrids – as a consequence thousands of years of genetic diversity is lost because those other plants are gone and not producing regular viable seed. I imagine that the vegetable seed used by my grandfather and his father is long gone now. Some speculate that this is a big risk to food security from the perspective of future diseases or climatic changes (when genetic diversity might protect a plant species) or from relying on the hybrid parents owned by just a few large commercial seed companies. Do we want to live in that world? Heirloom seeds have typically been naturally pollinated (called Open Pollination) each season by insects, birds, the wind (or humans at random with no particular manipulation of traits). These natural pollinations have been occurring for thousands of years. The seeds have more diverse genetics than hybrid F1 seeds but that also brings with it something of a lottery in terms of growth traits – perhaps most of your giant pumpkin plants produce a spectacular giant fruit, perhaps one or two others produce smaller or discoloured fruit (due to the diversity of the genetics). Then again perhaps you’re rewarded with super sized monster pumpkin fruit that exceeds your expectations. The plants have been left to pollinate on their own, the genes mix again for the next set of seeds and possibly over a long time they may evolve naturally to suit the environment and climate that they grow in. The BIG bonus with Heirloom Seeds is that they can be saved from year to year without needing to open a seed catalogue or your wallet. The resulting seed will be diverse and this is probably OK if you’re growing for your own garden or allotment like me. If however you’re Farmer Giles you may not want Waitrose to reject 10% of your pumpkins because they’re the wrong shade of orange… and that comes at a cost. As a result you can see why a farmer might be inclined to favour the purchase of hybrid seed over OP seed; Farmer Giles is a businessman, he’s not as worried about long-term genetic diversity he’s more worried about paying the loan on his tractor next week. So Are Open Pollinated (OP) Seeds Different? Open Pollinated seeds are just seeds that have cross pollinated at random by nature. They may cross pollinate from heritage plants or they may cross pollinate from F1 or F2 seeds. 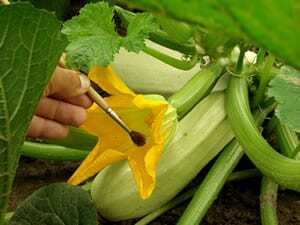 If F1 or F2 seeds open pollinate there is a greater chance that they will be sterile. 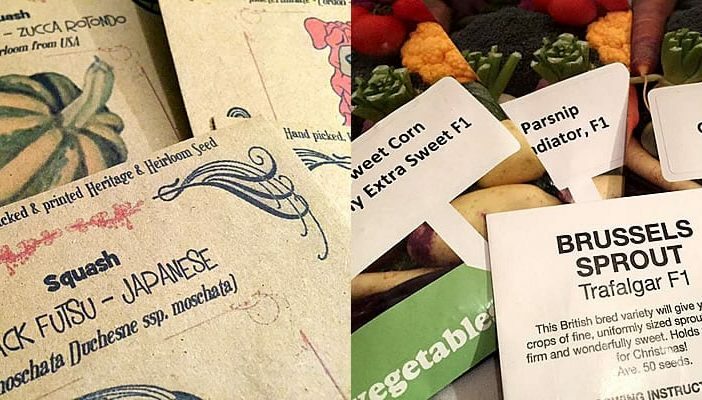 In summary when buying seeds it’s all a question of reliance – how much do you need to rely on your produce being exactly as per the photograph on the packet and how much do you want to rely on a few large seed companies controlling the food supply of your children? 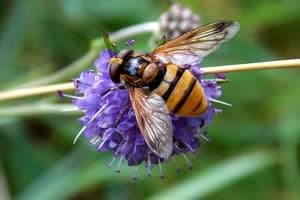 Personally, as I’m sure you’ve gathered from my tone, I favour a more ethical approach – preferring to let nature give me a few little surprises each summer and for all of us to act as modern day seed and food guardians of the future. That’s not to say I don’t ever grow F1 hybrids of course, but I will opt for an heirloom seed variety where I can. Previous ArticleDealing with Severe Anxiety – Allotments, Friendly Bacteria & More. Next Article Glyphosate (Roundup) weed killer – should you use it?